Our quad bike trailer is suitable for two quad bikes, a single axle unit with a carrying capacity of 750kg. 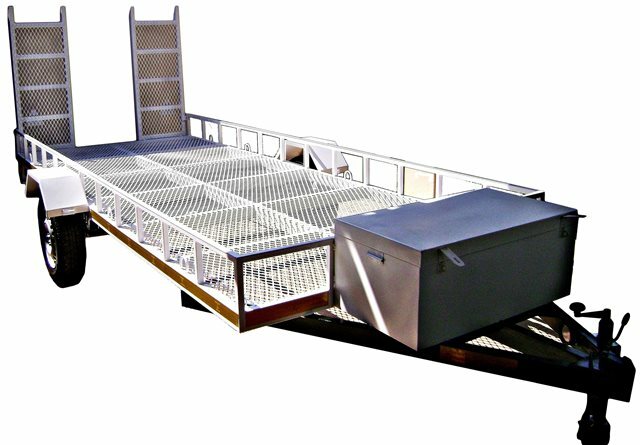 Designed to transport up to two quad bikes, the unit can also be used as a flatbed trailer to transport motorcycles, golf carts, bicycles, furniture etc. Additional features: Drop-down ramps for easy loading and single axle without brakes. Contact us today to make a booking to hire your quad bike trailer.